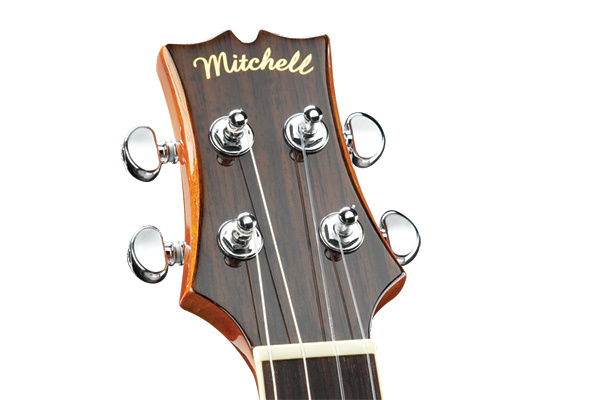 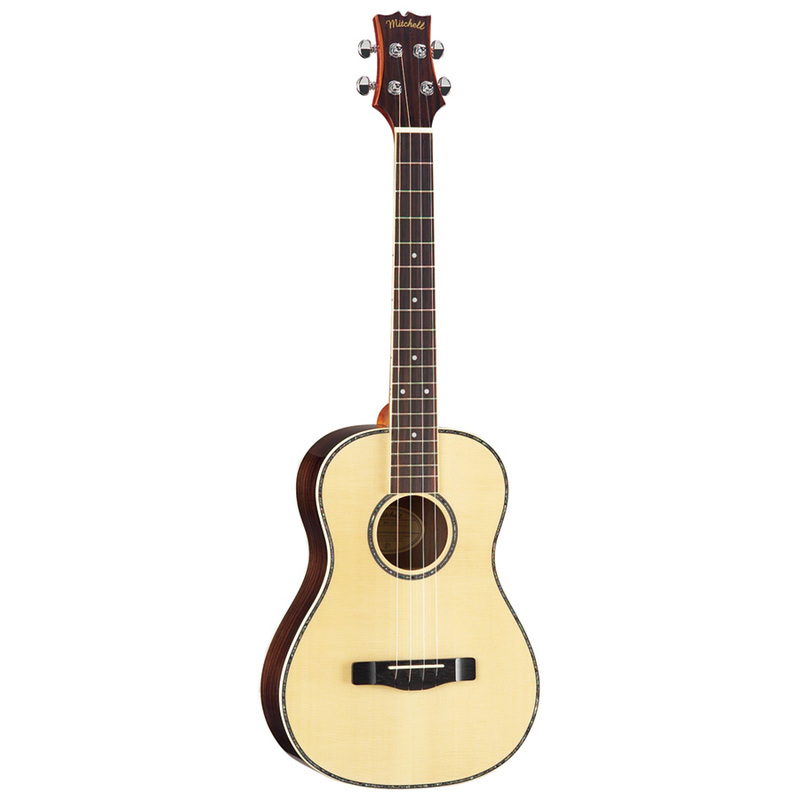 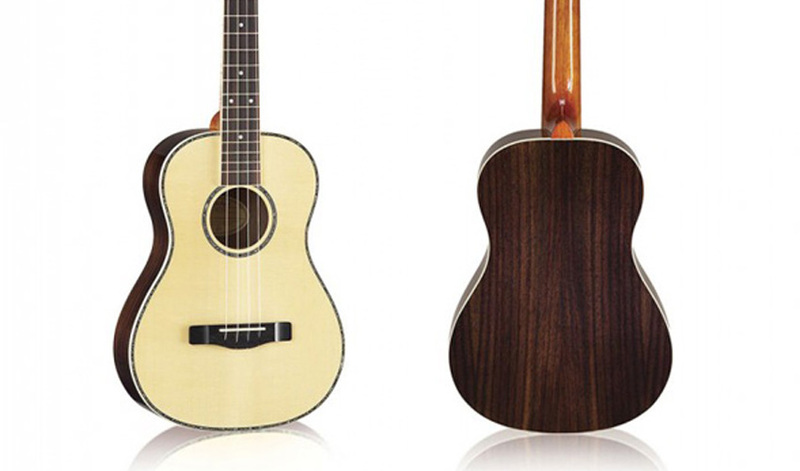 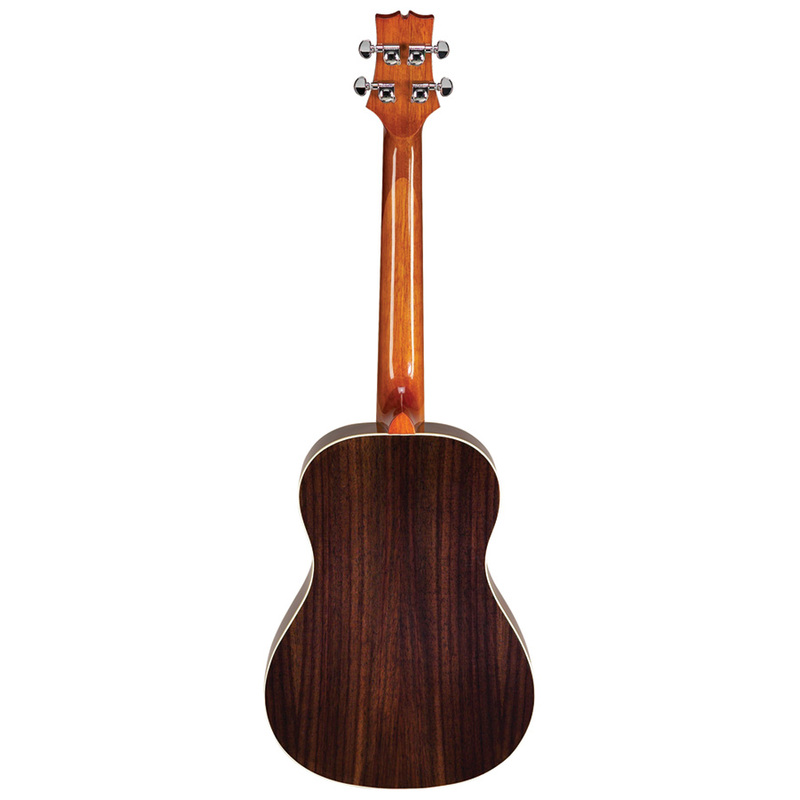 The Mitchell MUB70S is a baritone version of our popular MU70 ukulele that features rosewood back and sides. 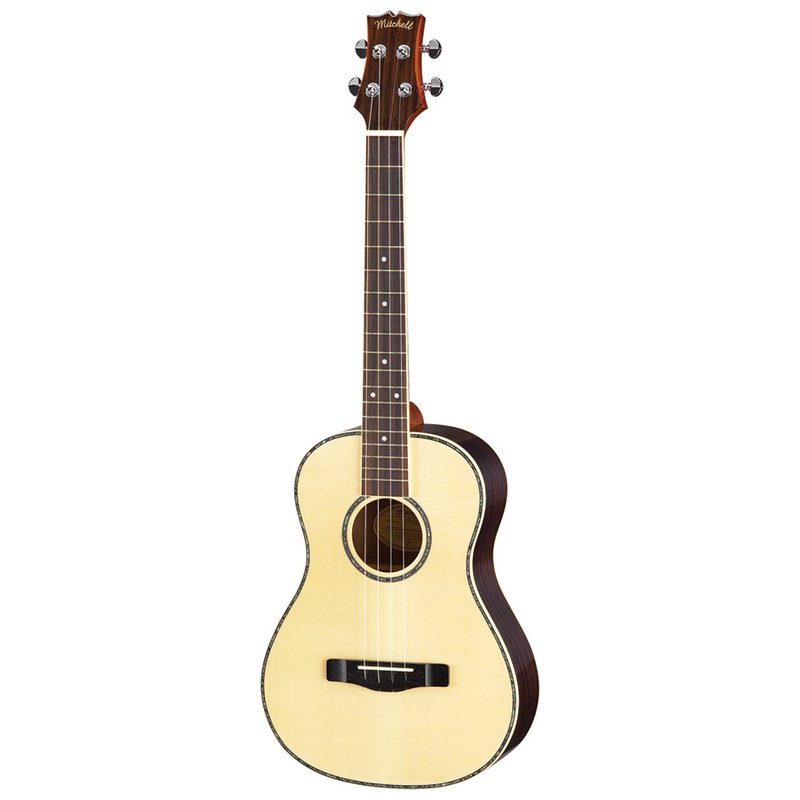 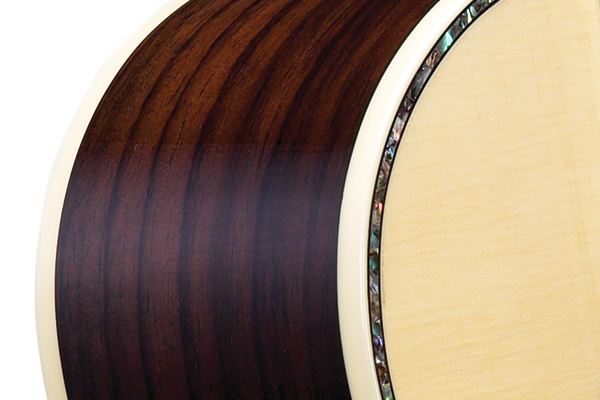 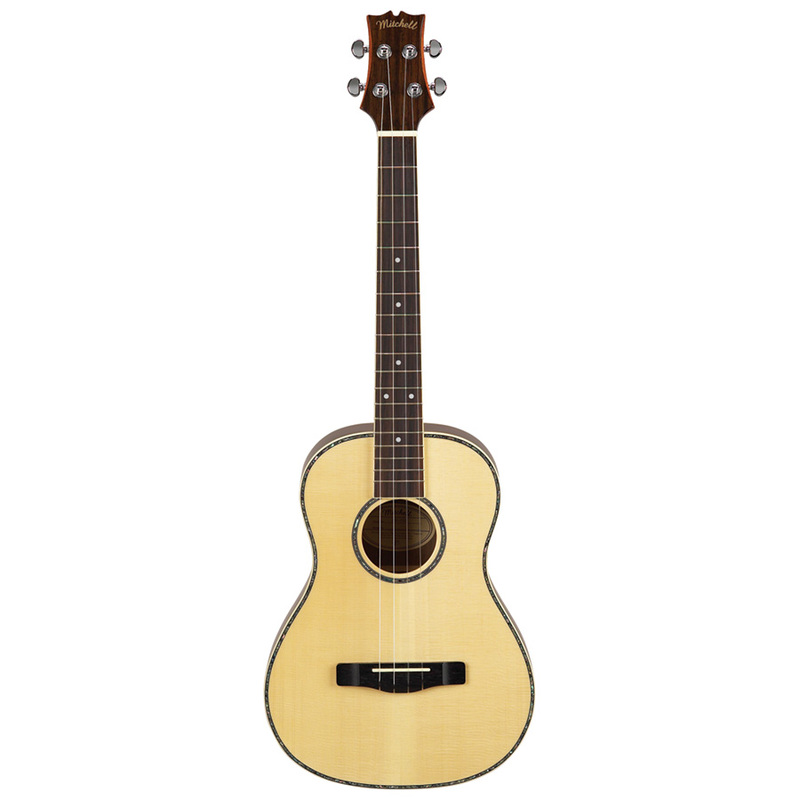 An upgrade to a solid spruce top provides increased volume and sustain, and its abalone rosette and purfling add a classic touch. 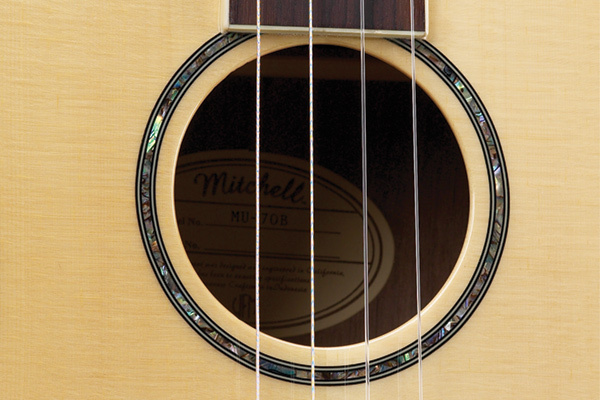 The special D-G-B-E tuning — same as the top four strings on a regular guitar — allow players transitioning from guitar to uke to feel right at home.